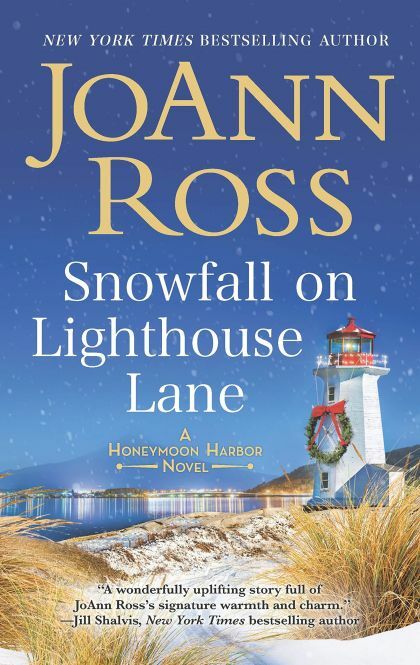 Lose yourself in the magic, charm and romance of Christmas in the Pacific Northwest as imagined in JoAnn Ross's heartwarming Honeymoon Harbor series. Growing up on the wrong side of the tracks, Jolene Wells is forever indebted to the mother who encouraged her to fly--all the way to sunny LA and a world away from Honeymoon Harbor. Although Jolene vowed never to look back, returning home isn't even a question when her mom faces a cancer scare. Which means running into Aiden Mannion all over town, the first boy she ever loved--and lost--and whom she can barely look in the eye. Aiden's black-sheep reputation may have diminished when he joined the marines, but everything he's endured since has left him haunted. Back in Honeymoon Harbor to heal, he's talked into the interim role of police chief, and the irony isn't lost on the locals, least of all Aiden. But seeing Jolene after all these years is the unexpected breath of fresh air he's been missing. He's never forgotten her through all his tours, but he's not sure anymore that he's the man she deserves. Despite the secret they left between them all those years ago, snow is starting to fall on their picturesque little town, making anything seem possible...maybe even a second chance at first love.